Prior to our trip, The Tetons' was covered with a haze from Yellowstone forest fires located just north of the Tetons'. The good Lord was with us because two days before our arrival a series of thunder storms cleared the skies leaving behind some dynamite clouds. 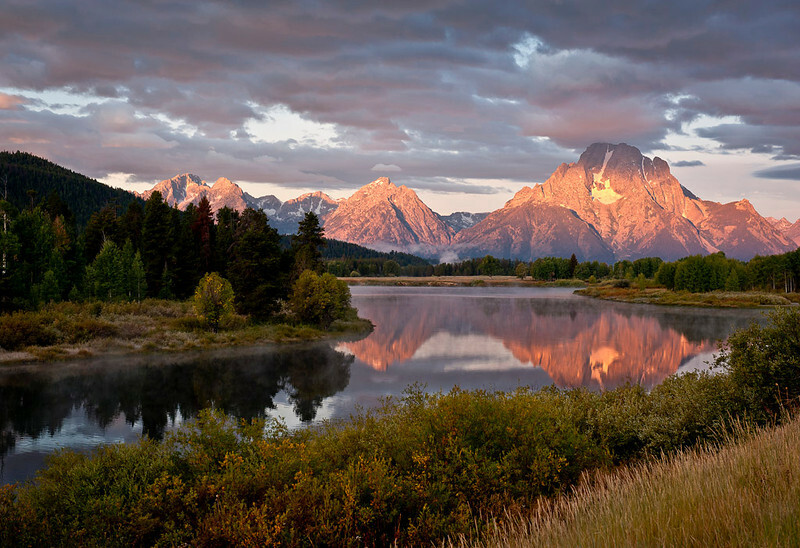 Naturally you must be flexible with your shooting schedules so at 5:00AM on our first morning in the Tetons' it was off to Ox-Bow Bend to capture the sun rise over these great mountains while utilizing the cloud cover. At this moment the hues of purple from the mountains are best seen.